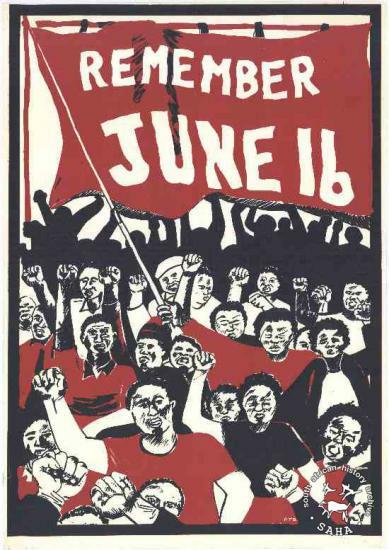 The participation of young people in the liberation struggle preceded the student uprising of June 16, 1976. Before the establishment of the African National Congress Youth League (ANCYL) in 1944, young people had been participating in numerous political campaigns in response to measures and laws affecting Black people. In the 1920s, the Communist Party of South Africa (CPSA) already had a youth wing. Young people took part in political campaigns from the early years. Many political formations established at the close of the 19th century and early in the 20th century were made up of people of all ages. Some of the most important figures were young men and women. Gandhi was only 24 years old when he helped found the Natal Indian Congress and became its first secretary. Likewise, Sol Plaatje and Pixley ka Seme assumed leadership positions in the South African Native National Congress when relatively young. Dr Abdullah Abdurahman got involved in politics before becoming the first person of colour elected to the Cape Town City Council, in 1903, aged 34. The generation of young leaders who from the 1930s rose to prominence and dominated our political life for more than six decades includes Peter Mda, Anton Lembede, Yusuf Dadoo, Joe Slovo, Oliver Tambo, Albertina Sisusu, Walter Sisulu, Nelson Mandela, Ray Alexandra, Lilian Ngoyi, IB Tabata, and Robert Sobukwe. They changed the face of the national liberation struggle. They were followed in the 1970s by leaders such as Steve Biko and Rick Turner, who inspired the thousands of young people who played active roles in the Durban strikes of 1973 and the 1976 student uprising, events that brought about the changes that led to freedom. This feature will trace the history of the lives of some of the leaders over a century of struggle and the lives of thousands of unsung heroes of the struggle. The rise of youth to political leadership came as a result of education. Many young people received an education, while their parents may have belonged to a generation in which education was not considered a key to a good life. It is therefore significant that many of the prominent leaders of the ANC, the African People’s Organisation (APO) and the Natal and Transvaal Indian Congresses were in their twenties and thirties when they assumed leadership positions in their organisations. During the 1930s there are fewer reports of unrest at the schools. Little is reported about schools in the period between the wars. However, “short items in the African press did mention strikes in the late twenties, and there were reports of many more in the pre-war years. It would have been strange if pupils in the schools, starved of resources during the 1930s, had not expressed their anger by striking and burning the premises”. However, the government was not concerned about the causes of or solutions to the school crisis. It did not publish the two reports or follow up on them. On the other hand, the government was concerned that the current education system was too liberal and producing “Black radicals”. From a theological perspective, the government was also distrustful of Christian ethics that were taught by churches other than the Afrikaner denominations such as the Dutch Reformed Church. Equally disconcerting to the government during the 1940s was the growing number of youth in the townships not absorbed by the inadequate schooling system. This gave rise to urban youth cultures that posed a challenge to forms of authority. One of the responses of the state to this problem in Witwatersrand Townships was to create facilities such as the Diepkloof Reformatory, started by arch-liberal writer and activist Alan Paton. Other responses came from Black communities themselves, such as the establishment of vigilante groups to deal with rising levels of crime in the townships. In 1948 the National Party won the general elections and set up an agenda to transform the education system for Black people. The following year the government appointed a commission of inquiry, headed by Dr WWM Eiselen, to investigate ways in which Black education could be altered to “suit their needs” as an independent race. The commission proposed that the government set up Black Local Authorities to take responsibility for the education of Black people. In rural areas traditional authorities would be given the responsibility for the education of Black children. It was now obvious that it was a matter of principle that education for Black people would be inferior and government would be determined to build a White supremacist society. Many considered the African National Congress’s (ANC) response to have been too weak and inadequate to mount any serious challenge to government policies. The ANC organised a nation-wide boycott that was easily crushed by government threats to expel all students who failed to attend school or who could be linked to the boycott. But the Bantu Education Campaign was linked to other national campaigns that were equally critical at this stage. The campaign to save Sophiatown and the anti-pass campaigns were considered national priorities by the ANC and the Bantu Education campaign was linked to these. It is significant that members of the ANCYL were particularly prominent in these campaigns. In the 1950s there was no distinct youth resistance to developments in education. The struggle against Bantu Education became part of a broader struggle in which adults were at the forefront. However, attempts were already being made to mobiles the youth as the ANC was widening its mass base, having started a decade earlier with the formation of the ANCYL and the ANC’s Women’s League. The involvement of youth in politics in the 1960s, whether or not in response to developments in education, reflected the apathy that had set in following the Sharpeville massacre. And during the next decade and a half, the Apartheid government continued to tighten legislation as part of its assault on the quality of Black education. From the 1970s onwards school riots began to take shape once more. In the rural areas of Northern Transvaal, Transkei and Ciskei , school riots turned violent when students damaged school property. There were student arrests and court sentences of fines or corporal punishment. Moroka High School in Thaba Nchu became a scene of violence. In all these protests, students were displeased with the gradual loss of their freedom in schools and increasing government control of the school programme. Towards the end of 1975, government issued an instruction to the Department of Education to teach half of all subjects in standard five in Afrikaans. Parents and schools immediately opposed this instruction. From the beginning of 1976, Soweto schools saw ongoing protests. In June various schools joined forces in demonstrations that culminated in the June 16 uprising. The 1970s period was a watershed for youth politics in South Africa. The South African Student Organisation (SASO) was gathering support from campus to campus. Their activities were becoming increasingly radical and openly hostile to apartheid and white supremacist rule in general. SASO took its political message to High Schools. However, it was still a cautious approach, with the limited objective of preparing young scholars for leadership in the Black community. Still, the climate was politically charged with opposition to measures and policies that sought to reinforce Black subjugation. In 1972 the Black People's Convention (BPC) was formed to organise Black people and promote the Black Consciousness philosophy, complementing SASO which was student-oriented. Townships across the country were experiencing an increase in the number of scholars and schools. This meant the youth in townships were increasingly being concentrated at schools and youth networks were beginning to have a wider reach. In 1974 the South African Students Movement (SASM) was formed. SASM is widely considered an initiative of the Black Consciousness Movement (BCM), but it has been acknowledged that some of the leaders were already being influenced by ANC underground operatives. Murphy Morobe, Billy Masetlha and several other high profile student leaders were initiated into the Congress tradition by Joe Gqabi. The 1976 uprising raised the political awareness of students and introduced a renewed sense of independence and initiative among the youth, inspiring them to change their surroundings, with schools as their first focus. However, the initiative was limited to Soweto, without any serious attempt at forming a national body. The state’s response to the students’ uprising in 1976 was brutal, forcing thousands of youth into exile, mainly in Botswana, Lesotho and Swaziland. These swelled the ranks of Umkhnto we Sizwe (MK) and the Pan Africanist Congress’s APLA. Many who joined MK were sent into training camps in Angola and Mozambique, and later to Eastern Europe and the Soviet Union. They returned in the later 1970s as trained cadres of MK’s June 16 Detachment. The increased number of bombings in the country following the Soweto uprising in the later 1970s and 1980s were carried out mainly by members of the June 16 Detachment. Others students opted to remain within Black Consciousness formations which were struggling to establish themselves in exile. The majority joined SAYRCO, launched in Lusaka during the Easter Weekend of 1979, modeling the organisation on the Soweto Students Representative Council (SSRC) in exile. This initiative collapsed when Khotso Seatlholo was arrested in Soweto in 1981 while attempting to establish underground networks inside South Africa. The banning of SASO and the SSRC in October 1977 left students without a national body, but protest against university and school governing authorities continued on different campuses countrywide. In 1978, students protested against appalling conditions in the Faculty of Sciences at the University of Zululand. The result was the expulsion of some SRC members and 200 other students. Students also began protesting in support of wider community issues. Students at the University of the North organised a march to commemorate the Sharpville Massacre and protest against the forced removal of the Makgatho community. Students at the University of Western Cape pledged their support for striking union workers of food manufacturer Fattis and Monis. The formation of SANSCO introduced a new phase in school protests and student activity. Though the organisation was politically and organisationally weak, it had a deep interest in community and township issues. The formation of SANSCO did not come from university campuses and student concerns, as was the case with the formation of SASO. It came directly from the Azanian People's Organisation’s (AZAPO) conference of September 1979. During the conference, AZAPO students elected an Interim Committee (IC) to prepare for the launch of SANSCO. The new national body was first called the Azanian Student Organisation, but renamed SANSCO in 1986. Though SANSCO was formed at the initiative and with financial support of AZAPO, it carved out an independent political position by recognising AZAPO one of a range of legitimate Black political organisation in the country. COSAS went on and issued another press release pointing out that it hoped the “revolution” in Zimbabwe would fuel the liberation of South Africa. Zimbabwe’s proximity inspired the imagination of South African youth organisations. The 1980s was also a period of serious student protests and unrest. COSAS moved increasingly closer to liberation movements aligned to the ANC. The foundation of the United Democratic Front (UDF) to organise resistance against South Africa's constitutional reforms gave COSAS a much wider role in politics. The proposed Tricameral Parliament saw increased student participation in national politics. The Anti-Republic Day Campaign, which was organised by the UDF, attracted the participation of Township youths on a greater scale than before. The UDF learned from the experiences of June 16 that the youth could be mobilised as full-time activists, ready to spread information. In 1982 COSAS and SANSCO and other UDF affiliates joined hands for an Education Charter cam paign, the aim of which was to organise educational demands of and draw up an Education Charter that would inform students, workers, and parents’ bodies. In 1982, Auret van Heerden, a youth leader, made it clear to the youth organisations at a conference that the students needed to make demands that would go beyond the achievement of reforms to the actual dismantling of apartheid. As a result, the two organisations decided against a charter that would merely call for reform in South Africa. They advocated the transformation of South Africa into a democratic society as a precondition for the eventual implementation of an education charter.